A round-up of what’s happening throughout the 100.8 Revival FM area. Come to Teviot Walk, Cumbernauld Town Centre for a day of discovery about your local community on Saturday 19 January 2019 from 10.00am till 3.00pm. There will be Bookbugs & Fruit Faces, activities & games for kids, yoga, Thai Chai, line dancing plus radio entertainment and face painting. Take-a-Break Coffee Morning, every Thursday morning 10.30am to 12 noon at Carbrain Baptist Church, Greenrigg Road, South Carbrain, Cumbernauld G67 2PR. Hot filled rolls, teacakes and other baked goods are available to enjoy with a hot drink. A relaxing start to your day with good company and even better food. Donations are welcome. House of Bread Food Bank, in Maree Drive, Condorrat, Cumbernauld G67 4LW every Thursday 5.30pm until 7.30pm. This will be alongside House of Bread’s food bank in Cornerstone House and The Parish Church in Cumbernauld Village. Tulliallan and Kincardine Church, Kirk Street, Kincardine, Fife FK10 4PT are holding a DVD/Haggis Supper Evening on Tuesday 2nd February. Tickets are available from any member of the Friends Committee. Carbrain Baptist Church, Greenrigg Road, Carbrain, Cumbernauld G67 2PR are hosting a movie night on Saturday 23rd February from 7.00pm with a screening of Mama Mia. Soft drinks, hot drinks, sweets and sausage rolls will be available on the night along with freshly made popcorn. If your a super trouper fan feel free to dress up. Donations welcome on the night. An Evening with Fiona Crow on Saturday 9th March 2019 at Coatbridge Baptist Church, West Canal Street, Coatbridge, Lanarkshire ML5 1PR. A night of testimony and music: Fiona will be sharing her story through her music. Tickets are just £5 in advance from George Thomson, e-mail: events@coatbridge.com or telephone: 07591 164 113. Come for tea, coffee, cake and a friendly welcome, every Wednesday 10.30am to 12.30pm at the Storehouse Church, 5a Garrell Road, Burnside Industrial Estate, Kilsyth G65 9JX. New Beginnings – A Church for the Community is inviting men to joint them for the monthly men’s night at “The Coffee House”, 73-81 Glenmanor Avenue, Moodiesburn, Lanarkshire G69 0LB on the fourth Tuesday of each month at 7.30 until 9.30pm. Topics include personal life changing stories and everyday life issues. There is food together, worship and a guest speaker who may share a testimony or a particular ministry involvement. 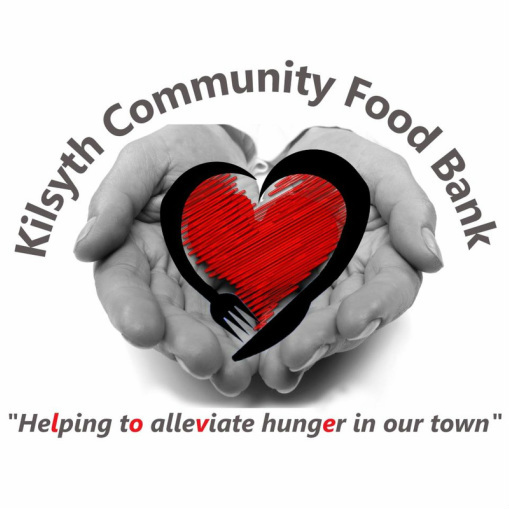 Kilsyth Community Food Bank, 1 Parkfoot Street, Kilsyth G65 0SW is open every Monday from 12 noon until 2pm and 6.00 and 8.00pm. Open for donations on Wednesdays from 12 noon. Café Recovery Kilsyth, every Friday at 7.00pm in Café Refresh, 84 Main Street, Kilsyth G65 0AL. All are welcome – come along for a chat and a cuppa. Kilsyth Community Church, Low Craigends, Kilsyth G65 0BH at U.P. Lane, Kilsyth the 1-2-3 Sports Club for boys in P1 to 3. 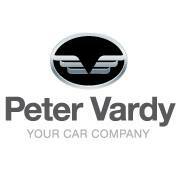 Every Friday from 6pm to 7.15pm. Games, stories, craft, and lots more. Rokk Club at Church of God, Parkburn Road, Kilsyth G65 9DG every Tuesday from 6.30pm – 7.45pm for primary school kids. Coffee Morning every Thursday from 10.30am until 12 noon at Carbrain Baptist Church, Greenrigg Road, Carbrain, Cumbernauld G67 2PR. 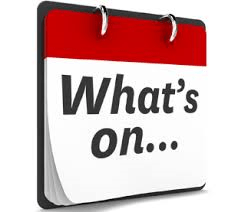 Cornerstone House Drop in Café, 1 Esk Walk, Town Centre, Cumbernauld G67 1EW – Monday to Friday 10.30am to 3.00pm. Open Doors in Alva Baptist Church, The Green, Stirling Street, Alva, Clackmananshire FK12 5JR every Wednesday from 10.00am until 12noon for prayer, tea and coffee. House of Bread Food Bank, Textile Bank and Free Cafe open every Thursday from 5.30pm till 7.30pm at Cornerstone House, 1 Esk Way, Cumbernauld Town Centre and every Friday morning from 11.00am till 12.30pm at Cumbernauld Old Parish Church, Baronhill, Cumbernauld Village G67 2SD. House of Bread Food Bank in Pollock Hall, Maree Drive, Condorrat, Cumbernauld G67 4LW meets every Thursday 5.30pm until 7.30pm. This will be alongside House of Bread’s food bank in Cornerstone House and The Parish Church in Cumbernauld Village. The Storehouse Church, Kilsyth are hosting an Alpha Course every Wednesday from 7.00pm till 9.00pm. If you would like further information on any of these events, or if you have an event you would like promoted, please contact the studio office on 01236 721110 or email admin@revival.fm Where possible please give two weeks notice. You can also use the form provided above which will go direct to the admin desk in the Revival FM office.